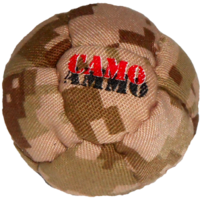 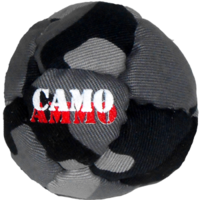 The new Camo Ammo footbag employs our famous 14 panel design and is made by our friends at World Footbag. 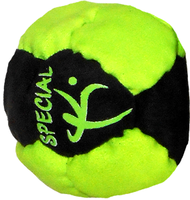 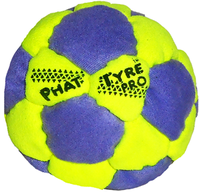 A combination of rubber and steel pellets give this footbag a perfect feel for all the stalls under the sun and because of the fabric it also kicks like a dream. 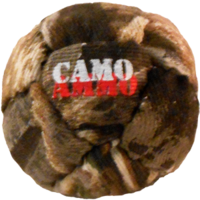 Be sure you keep an eye on it though as it may be hard to see in the bush. 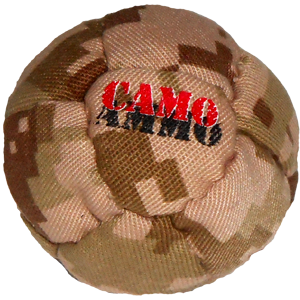 A wide color selection ensures one just right for all camo covers. 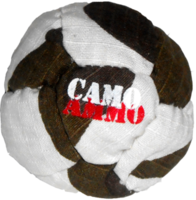 Break out the heavy artillery! 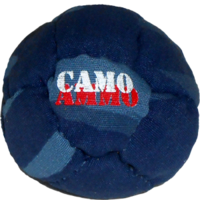 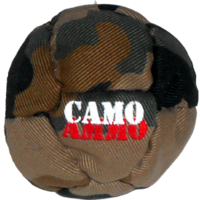 This footbag has a nice durable camoflage canvas type outer cover combined with a recycled rubber/steel pellet filler giving it a soft feel, decent weight, nice pop, and easily stallable.